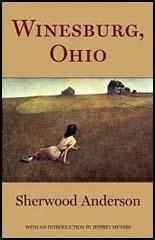 Sherwood Anderson, the third of seven children, was born in Camden, Ohio in 1876. He left school at 14 and after various jobs served in the Spanish-American War (1898-9). After leaving the US Army, Anderson worked as a manager of a paint factory in Elyria, Ohio. In 1908 he began writing short stories and novels. He moved to Chicago where he found work in an advertising agency. Anderson became friends with other writers in Chicago such as Floyd Dell, Theodore Dreiser, Ben Hecht and Carl Sandburg. Anderson shared his friends radical political views and in 1914 and began having his work published in The Masses, a socialist journal edited by Floyd Dell and Max Eastman. This included the stories about small-town life that were subsequently published as Winesburg, Ohio. Anderson's first novel, Windy McPherson's Son was published in 1916. This was followed by the novel, Marching Men (1917) and a collection of prose poems, Mid-American Chants (1918). Winesburg, Ohio (1919), Anderson's most important work, was published in 1919. The book, a collection of 23 inter-related stories of small-town life, features George Willard, a reporter for the local newspaper, who has ambitions to become a famous writer. 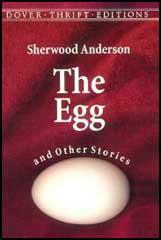 Other books published by Anderson during this period included Poor White (1920), The Triumph of the Egg (1921), Many Marriages (1923) and Horses and Men (1923). Although considered to be a minor work by the critics, Anderson's most commercial successful novel was Dark Laughter (1925). Anderson, whose autobiography, A Story Teller's Story, was published in 1924, failed to recapture the standard of the work produced in Winesburg, Ohio. His later work such as Tar: A Midwest Childhood (1926), Beyond Desire (1932) and Death in the Woods (1933) failed to make an impact on critics or the book-buying public. Sherwood Anderson died of peritonitis in Panama on 8th March, 1941. I saw something of Theodore Dreiser, who was in Chicago for a while; he said I was the best critic in America; but I had said he was a great novelist, so it was only natural for him to think well of my critical powers. A new, hitherto unknown novelist swam into my ken, Sherwood Anderson, with the manuscript of a novel, Windy MacPherson's Son, which I immediately admired; it had things in it about the Middle West which had never got into fiction. Sherwood Anderson worked in an advertising agency, and loathed it.